For the military, and in many transport and transport-related businesses, mica-based and other insulation materials play an essential part. All are intimately connected with issues of safety and security, and with ensuring the right level of high temperature insulation in a whole range of conditions, where extremes can be the norm. These data recorders are also known as black boxes. They are used in commercial transport, in cars, and military vehicles as an essential research tool and a means of data-recovery. Crash or event data recorders are vital for providing an incident record and for supplying key evidence following accidents, crashes and, in military situations, combat. In the transport industry generally, large vehicle fleets, including Volvo and Ford, have been successfully using data recorder boxes since the 1990s. These recorders have contributed significantly to improvements in crash reconstructions and to research into road and vehicle safety measures. Data recorder boxes provide increased accuracy of data, improved evaluation of safety technology and active safety systems; and they help assess crashworthiness of vehicles. They can also be used as enforcement devices, fitted to vans and trucks to help reduce the number of crashes and traffic infringements. Obviously, for a data recorder box to be effective, it must remain functional in all conditions, which is where insulation plays a key role. As a result, data box recorders require protection from extreme heat, impact velocity and pressure. We apply a mica insulation layer, which then ensures the stability of the black box in extreme conditions. Mica provides a thermal insulation solution that also ensures the recorder is both fire resistant and flame retardant. This means that the black box should remain operational regardless of what happens to the vehicle in which it is located. Contact Elmelin for more information or to discuss your project. 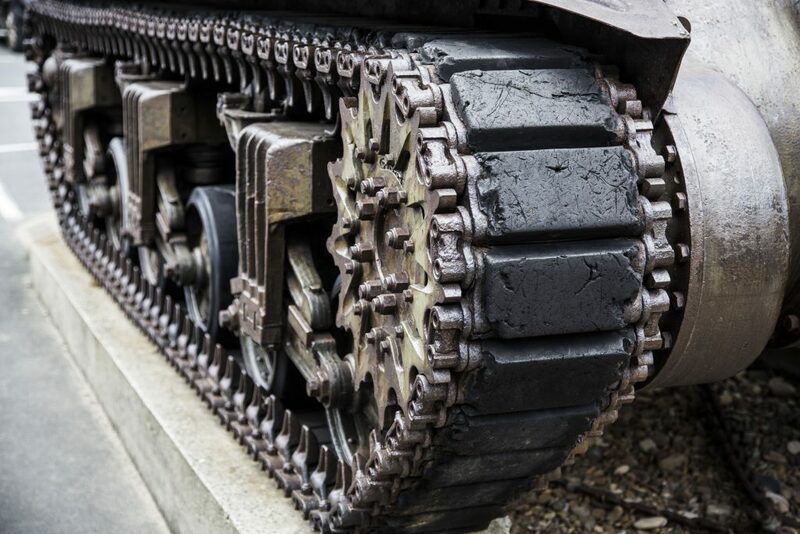 For the military, heat shields and thermal barriers are crucial for both weaponry and transport. Military thermal management strategies must look at the consequences of heat emissions from a tactical viewpoint. Heat shield barriers are not just about protection from potential heat damage, but also to disguise deployments of personnel and vehicles in the field. Suppressor heat shields for firearms will prevent the heat from gun barrels giving off thermal signals which can then give away strategic positions. Exhaust insulation for armoured vehicles is critical for the same reason. It also ensures the personnel inside are kept cooler, and safer, and protects sensitive electrical equipment. This kind of insulation is applicable across a range of vehicles, keeping heat away from essential parts and body panels, while helping to lower interior temperatures. Specialised heat shields also help improve performance and extend vehicle life spans. Elmtherm’s thermal insulation qualities mean it forms the basis for fire proofing applications essential for military and transport functions. These include bodywork and interiors and structures. Recent drone technology has made huge increases and consequently, unmanned aerial vehicles (UAVs) require the same kind of safeguards as manned transport, particularly where they will be operating in extreme, heat-intensive conditions. We are highly experienced in providing insulation solutions within these sectors, developing bespoke solutions for protection at high temperatures.